Thousands of divers descend upon Dahab every year to enjoy its numerous dive sites. The most famous of these sites is Canyon which is about 33 feet high. The dive site features an easy entry and exit angle through a shallow lagoon. Visitors get to explore beautiful coral gardens which are home to the Red Sea anthias, butterflyfishes, octopus, and unicornfishes. The Blue Hole is another of the most visited dive sites in Dahab. The site has no bottom although the floor of the hole itself is estimated at 361 feet. Once inside, you will be surrounded by blue waters from where the hole derives its name. Another of Dahab’s dive sites is Umm El Sid with about six dive locations. There are numerous eels, and if you are lucky, you will see the colorful nudibranchs. 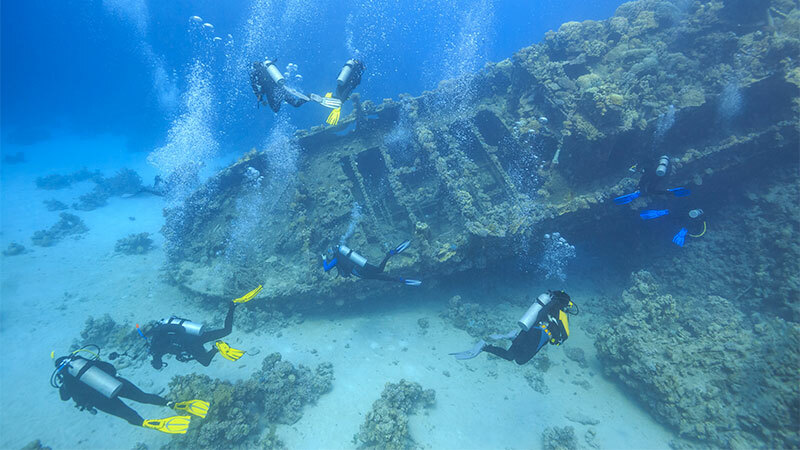 Sharm El-Sheikh is popularly recognized as home to one of the world’s best shipwrecks called SS Thistlegorm. The Britishship dates back to 1941 when it sunk after a German air attack in the course of World War 2. You will see numerous artifacts in the wreck including stacks of rifles, tanks, motorbikes, boots, and jeeps. The marine life visible in Sharm El-Sheikh includes hammerheads, turtles, and blue spotted stingrays. About 60 miles from the Egyptian shore are two islands, off of El-Quesir. They are among the top 10 scuba dives in the Red Sea, and you can access them using liveaboards. The islands are relatively isolated which makes them ideal for divers who prefer less-crowded areas. The bigger island (Big Brother) has a plateau on its south edge, starting at a depth of 98 feet out to 164 feet before dropping off. Nearly all of the diving that you will do here is wall diving which makes it easier to see big game including sharks and rays. Big Brother is also home to two wrecks named the Aida and the Numidia. Few ships reach Small Brother, and the corals are therefore pristine and varied. It is also an ideal spot to swim with sharks. The marine life present at the islands includes thresher sharks, hammerhead sharks, giant Murrays, oceanic whitetip sharks, and Napoleon fish. The Red Sea harbors numerous ship wreckages, some from the ancient periods. The Egyptians were historically renowned as shipbuilders while the Romans sailed across the Sea. The Ghiannis D lies in the Strait of Gubal, just north of the Sha’ab Abu Nuhas Reef. The wreck provides a habitat for marine life including shoals of batfish. Also located in the Strait of Gubal is the Carnatic, a steamship launched in 1862 and which crossed paths with the Sha’ab Abu Nuhas Reef. The wreck is covered in appealing soft corals. On the eastern side of the reef lies the Chrisoula and you can take a boat from Hurghada to explore the remains of this Greek boat. It sunk in 1981 with a cargo of stone and tiles. It is home to Spanish dancers, boxfish, and butterflyfish. The reef also claimed the Kimon M in 1978 and the wreckage is also covered with soft corals. Safaga and Soma Bay lie 9 miles apart, and their healthy corals make them among the top 10 scuba dives in the Red Sea. 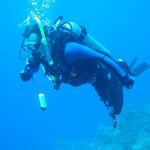 They share many dive sites including Middle Reef and the Panorama Reef. You can take a liveaboard from Hurghada to access Panorama Reef which has a plateau extending for 98 feet full of Gorgonia. The Middle Reef has one of the most beautiful coral gardens in the area. Sofa Bay is teeming with diving companies, hotels, and resorts on its shores. Some of its wildlife include eagle rays, Napoleon fish, blue-spotted rays, moray eels, and potato cods. Corals thrive here because of Soma Bay’s warm saline water. The House Reef stretches for several miles presenting bright corals near the Bay. MarsaAlam lies on the Red Sea’s western shore, and it can be accessed through the MarsaAlam International Airport. Abu Dahab is among the dive sites at MarsaAlam, and it is known for its seagrass beds, green turtles, and guitar sharks. The site is famous for the dugong or the “sea cow” which has become endangered due to rapid development. You can snorkel with dolphins at the Dolphin House with lifejackets one. For a free dive with dolphins, you can head to Sataya reef where you can swim side to side with wild dolphins. The Elphinstone Reef lies 6.5 miles from the beach, and you can get there by taking a liveaboard from MarsaAlam. It runs for 984 feet with sheer sides extending from North to South. The reef’s middle is just 3 feet, but the walls drop steeply to the depths. Visibility is typically around 66 feet. The reef experiences strong current which will require a little bit of scuba diving expertise. Large shoals of tuna can be seen in addition to turtles, grey reef sharks, oceanic whitetip sharks, hammerheads, oceanic white tips, barracuda, anthias, and zebra angelfish. Located in Southern Egypt are St Johns, Zabargad& Rocky Islands which are home to uncrowded dive sites. St. Johns features a healthy reef system running for 25 miles. The most popular reef dives are HabiliGafaar and Habili Ali which are inhabited by black corals, soft corals, and pelagic fish species. St. Johns also has a plateau where divers can stop as well as tunnels and overhangs. Zabargad Island lies 50 miles from Berenice, and it is surrounded by beautiful coral-covered slopes and pinnacles. Rocky island lies 4 miles from Zabargad and has walls covered by coral trees and gorgonians. Jordan is among the smallest nations bordering the Red Sea. Its coastline extends for just 15 miles. Most of the dives in Jordan can be done as shore dives, and you will see terrific coals and wildlife like the Napoleon wrasse and turtles. Divers can dive on the remains of the Lebanese Coaster and enjoy the abundant sea life including uninterrupted corals. Some of the dive sites in Jordan include the Japanese Garden, Cedar Pride, Seven Sisters, and Rainbow Reef. 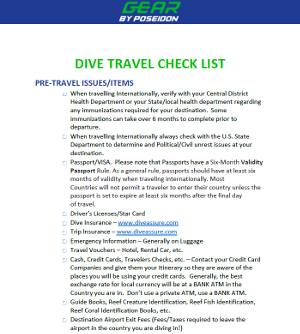 Diving sites have been established around Jeddah and Yanbu in Saudi Arabia. The Boiler Wreck is among the popular sites where corals have given habitation to small fish and crustaceans. There is a vast array of colors due to the stretches of corals. If you want to see sharks and large fish, Ala’s Reef offers an ideal opportunity for this. Visibility is typically at depths of 98 feet where populations of black triggerfish, queen fish, mackerel, Nigel, yellowfin, bluefin, sardines, red snapper, and the giant greasy grouper come out to play.